If you are unaware about the popularity of solar, keep your eyes open while watching TV and you will find hundreds of media campaigns on solar and renewable energies in US.as many companies are looking to build a more sustainable brand, solar energy has taken over mass media. Following the recent growth in solar industry across the globe, numerous corporate organizations have made clean energy the centerpiece in their multimillion-dollar adverting campaigns. Large corporations including technology giant Apple, brewing company Coors Light, telecommunication firm Verizon and search engine Google are a handful of the hundreds of companies that are making sustainability goals for their organizations. These corporate houses are using television and social media to promote these initiatives. According to a study on Consumer Trends in Sustainability, “near about 75% of consumers would be more likely to buy a product or service if the company is making an effort to be sustainable.” This is the future, not just a fad. Modern consumers are well-informed. They are more likely to invest or purchase something from a company that has shown an environmentally friendly and ethical intention. to generate electricity, solar power needs for manufacturing, distribution, storage, retail, and many other applications. Top brands of US are putting their faith in solar and committing to be more sustainable organizations. corporate sustainability makes business sense too. Solar Means Business Report by the SEIA tracks commercial solar installations in businesses, including the top 25 corporate solar users, many of whom are Fortune 500 companies. With the widespread popularity of solar energy, an increased number of businesses are now adopting solar to power their corporations. This energy revolution is leading by all the corporate solar users. 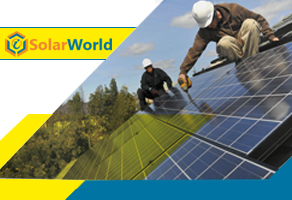 They also help normalize the use of renewables in business and in general. Corporate houses are also informing millions of TV viewers in USA about their commitment to greater use of solar energy. This is the trend that others can be expected to follow in times to come. Sounds interesting? subscribe to our newsletter for more such updates.